The goal of a handmade gift is to make something lovely and unique that lets the recipient know just how much he or she means to you. Of course, this is a great idea, but it can go wrong so easily! The project can end up taking forever, or it might hit a technical snag, or worst of all, it might end up banished to the back of a drawer. 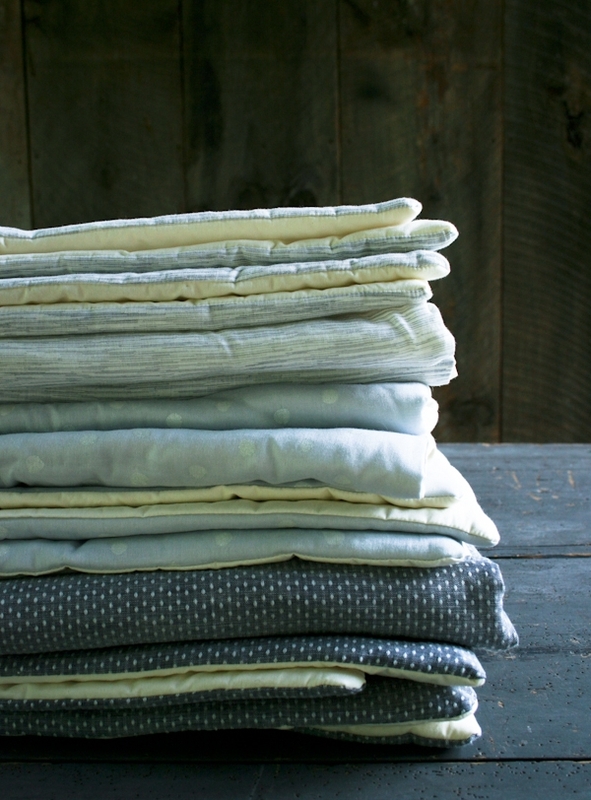 Lap Duvets have become our go-to handmade gift precisely because they avoid these pitfalls. They are quick and fun to make, super useable and easy to love! Page and her friend Alexa recently whipped up a set of Lap Duvets as a hostess gift for some close friends, and we all fell in love with the serene palette that she picked out. The mix of big Pocho Dot with pretty yarn dyed Veronica Voile and sweet Indigo Dot seems like it would be appreciated by anyone. 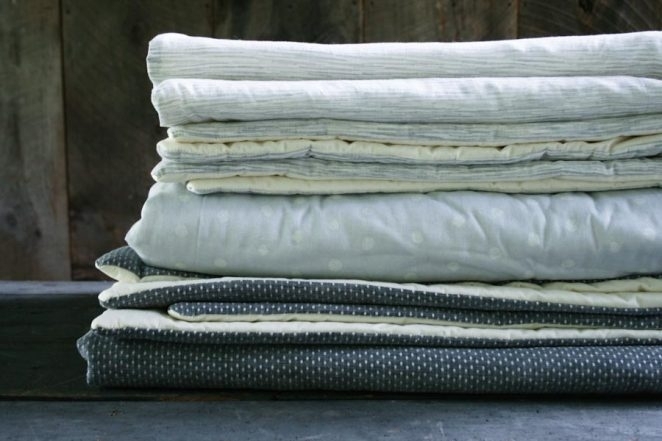 They are all backed with cool, soft muslin, giving this stack a timeless and perfectly classic feel. Lap Duvets are really quick to sew without sacrificing thoughtfulness or beauty. And they’re a great way to celebrate a favorite fabric and a favorite friend! 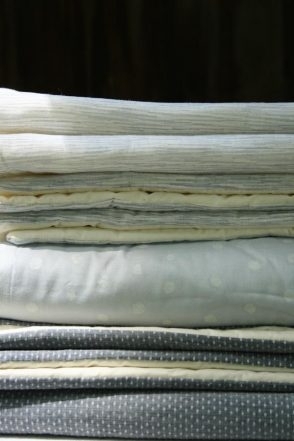 Here’s a list of the materials we used for these special Hostess Lap Duvets. 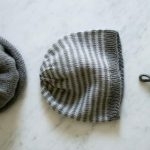 If you’d like to make your own you can find the full pattern here! 1 3/4-yards of either Robert Kaufman’s Chambray Union Dot in Indigo, Robert Kaufman’s Veronica Voile in Grey, or Nani Iro’s Pocho in Snow. For the full pattern, including step-by-step photos and lots of tips, visit our original Lap Duvet post! FYI, I believe this new blog post has a yardage error. You cannot get a 42 x 58 inch blanket out of two, 1-yard pieces of fabric that are only either 36 x 45 or 36 x 55 inches. The yardages posted on this blog page appear to be incorrect. When you go to the pattern from the previous post of these lap blankets, the yardages required are 1 3/4 yards each of the two fabrics. Thank you so much for catching this! It's been corrected. 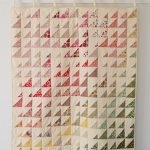 This is an amazing piece of sewing which I love to adapt to a variety of uses. 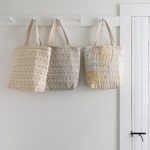 You can also make smaller ones that fit wooden chairs for more comfort to sit, or stitch together three sides inserting a button or zip or velcro to make a laptop or ipad cover, or line the walls and railings around a baby changing table or a cot to avoid bruises for the little ones when they start kicking and air boxing. 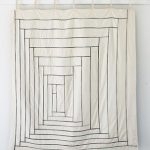 hi, what exactly is a lap duvet & what is it used for? It's basically a fluffy throw blanket, great for keeping on the couch or a favorite chair. 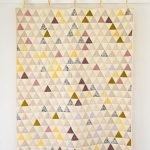 Can you mix flannel and voile for this? Or just voile and cotton? You could certainly use flannel for this! You can basically use whatever fabric you like! Thanks for showing how easy and versatile this pattern is! I am using this as my "bring a gift" for all our upcoming gift exchanges! How would you wash this ? Ok, I have to say I’m addicted to the Hostess lap duvet! I’ve made 2 so far, working on my 3rd, and see at least a couple more in my future! 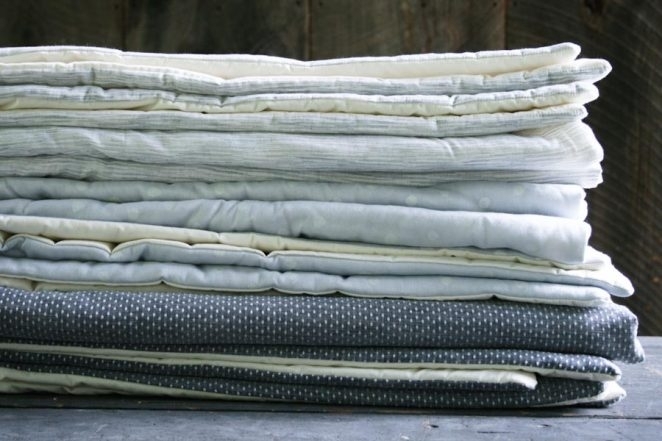 They are the perfect size and don’t take the time or energy that a traditional quilt takes. Plus you can use a “dear” piece of fabric without breaking the bank! The first one I made w/ the double gauze, but what I don’t like about the gauze is the that I don’t know how well it will hold up with a toddler ( I made it for a newborn). although it is light and perfect for the summer. The 2nd one I made for a friend’s birthday, and called it her “Porch Duvet,” since she spends the summers at her beach house, and I thought it would be a great treat to have on the porch, curled up reading a book at night when it’s just a little chilly! I used the Robert Kaufman Indigo tie dyed material (a true favorite!) and it’s really fun. Instead of tying it I quilted long squiggly lines down the length of it to go along w/ the tie died motif. The one I’m working on now has a really soft fleece on one side, and a Moda “Funky Monkey” Sock Monkey/ heavy cotton material on the other. I’m adding a fleece “pocket” at the bottom on the fleece side so my 6 yr old grandson can put his feet inside on cold mornings. He’ll love it. 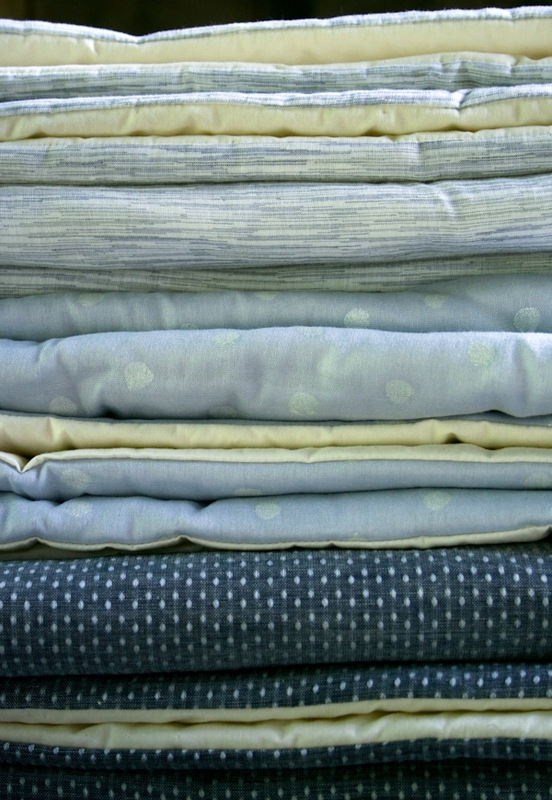 Then I have 2 more that I’m planning for friends going through chemo…– I’m eyeing up the new Kokka /Nani Iro fabrics since they are really special & beautiful, but I think I’ll try to come into the shop to see them in person. Thanks for the great ideas and inspirations, and all the other patterns and projects you post! Thank you so much for writing in! Voile and Lawn are considered lightweight fabrics and are similar in weight to a double gauze but they have a more slippery feel. If you have further questions, please let us know!